continent despite the wars and the falling apart. 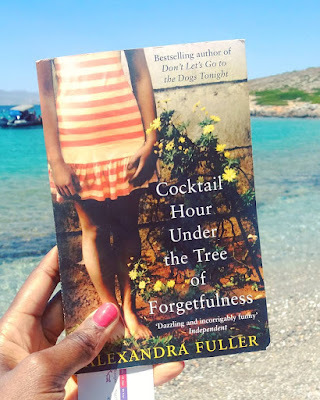 Alexandra Fuller is an incredible non-fiction writer, however, I must say that I did not enjoy this novel as much as I enjoyed Don't Let's Go to the Dog's Tonight. I recommend Cocktail Hour Under the Tree of Forgetfulness, however, if you haven't read anything yet from her, I'd advise you start with Don't Let's Go to the Dogs Tonight. The picture above was taken by me in Astypalaia, Greek Island.